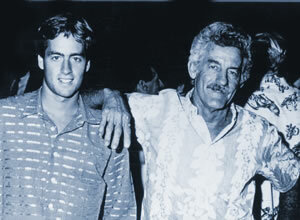 Pat Curren "2004 Surf Pioneer"
PHOTO: Pat and Tom Curren, circa mid '60s. Although Pat Curren prefers to live his life well off the beaten path, existing in a virtual self-imposed exile, his impact on the sport still resonates today. 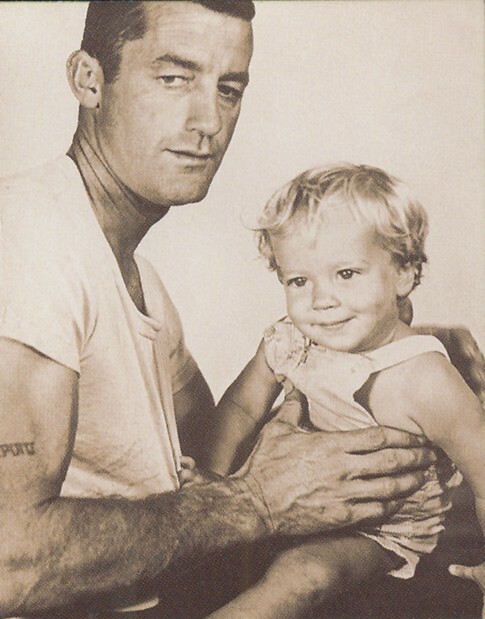 He began surfing at 18 after moving to La Jolla, and quickly climbed the local hierarchy to become a founding member of the notorious Wind and Sea Surf Club. Curren took his first trip to Hawaii in 1955, then returned two years later as an integral part of the original wave of California surfers to tackle the verboten surf at Waimea Bay. A nascent shaper with a mere two years experience crafting boards, Curren, upon his return to California, rededicated himself to configuring an effective Waimea gun. By 1960, Curren's big wave boards were considered the performance standard, his sleek spears of foam and resin manifestation of the shaper himself, narrow, functional sleds intended to take its rider from peak to shoulder in the most efficient manner possible. Over the next decade he worked as both a surfboard shaper and professional diver, before he finally packed up his tools, and moved to San Jose del Cabo's rugged East Cape.